Ecommerce is already convenient. But digital retailers still need to make their customers feel comfortable doing business with them. They need to give customers reasons to come back. For example, buying products online can be incredibly frustrating if a website is not in working order. As a matter of fact, an online shopping experience can even be suspicious if the site does not provide enough information for a customer to make an informed decision. And given how many ecommerce fraudsters there are online, who can blame shoppers for being cautious? You might be asking: How much does it matter? If your products are high-quality and affordable, people will buy from you. Right? No. A customer’s shopping experience matters tremendously. As a matter of fact, Inc.com notes that 86 percent of surveyed customers will cease doing business with a company after a negative shopping experience. Your website is the virtual equivalent of a brick-and-mortar store. Are customers likely to purchase from you if it looks like an amateur coder pieced it together? No, they will run the other way. Therefore, make sure your website is aesthetically pleasing. It’s a simple thing, but it lets consumers know that you care about presentation. Moreover, they understand that legitimate businesses are more likely to put effort into such things. Remember, too, that a significant amount of online shopping happens with handheld devices. Therefore, remember to optimize your website for mobile. Also, double check that it operates quickly. Quality design makes a world of difference, too. Customers will appreciate a well-designed website that that makes their shopping experience seamless. So make sure your online store is easy to navigate. Ensure that all of its features are working smoothly. According to a survey from Salesforce, nine out of ten customers expect online stores to have multiple contact channels. Also, 46 percent noted that they expect brands to offer support via Facebook. Providing various contact options let customers know that you are easily accessible. It allows them to communicate with you in ways that are most convenient for them. Therefore, include your phone number, email address, mailing address, and social media links for direct messages on your website. You could even include a Whatsapp number for texting. Improve your customers’ shopping experience with detailed product descriptions and landing pages, too. In brick-and-mortar stores, customers can feel items in their hands and imagine how they would use a product. However, they only have images and text to go on when shopping online. So give people comprehensive and well-written descriptions alongside photographs from multiple angles. To further help your customers envision what using a product would be like, use video. You do not have to be a videographer with advanced technical skills to create high-quality productions. All you need is the best video editing software for beginners. Content ideas include how-to guides, interviews with figures in your industry, and other interesting facts and stories about your field. You can post these videos on outlets like Instagram, Facebook, Twitter, LinkedIn, YouTube, and your website. How annoyed would you be if you found the exact product you wanted on an online store that looks legitimate, only to be dissuaded from buying it because the checkout process was cumbersome? Imagine a checkout process that forces you to create an account, enter credit card information on an insecure page, and go through seemingly endless pages mentioning additional fees before you could even press the “order” button! One of the main things you can do to improve customers’ shopping experience, as well as your sales figures, is to streamline your checkout process. Therefore, use a payment processor that accepts multiple options. These should include credit card, e-check, ACH transfer, and so on. This tip is especially relevant for dropshippers: Even though you do not manufacture your own products, it is still your responsibility to fix problems when they arise. To prevent them from happening, review invoices from your suppliers as soon as possible, preferably before products leave the warehouse. Be sure to check for inaccurate product orders, quantities, and addresses. Then your customers won’t have the hassle of having to contact you with a complaint. A customer’s shopping experience matters just as much online as it does in person. 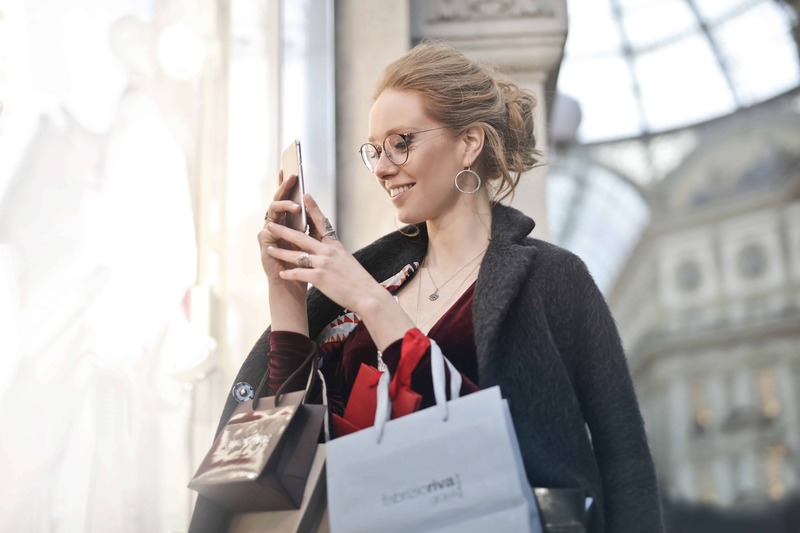 What’s more, there are plenty of steps you can take to ensure that every customer’s shopping experience is a positive one. What do you do to provide exceptional customer service?